MY KITCHEN IN SPAIN: RICE "ON THE SIDE"
Last week, after filleting a whole corvina, I saved the head, bones and trimmings to make fish stock. 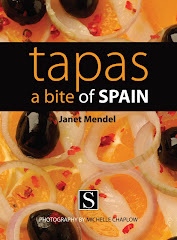 Usually I stash stock in the freezer, ready for making one of my favorite Spanish fish soups. This time I decided to use that pot of concentrated flavor for a Spanish rice dish that’s not paella. Flavorful rice and not much else. Arroz abanda (in Alicante lingo, it’s arròs a banda) means rice “on the side.” It’s sort of like paella but without all the baroque trimmings. Originally it was a simple fisherman’s dish cooked on board a trawler. Some of the day’s catch was boiled in a pot, then skimmed out. Rice was added to cook in the tasty broth. The rice was served first, followed by the boiled fish. 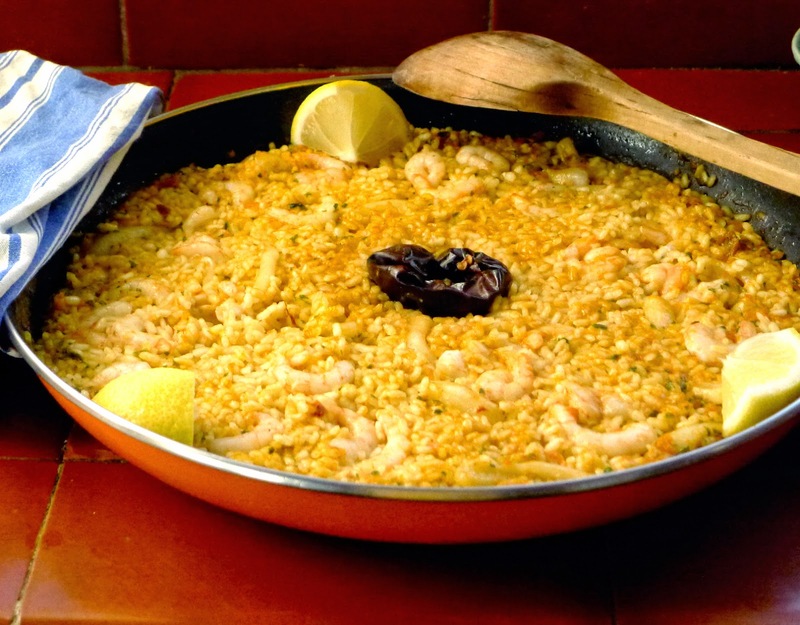 The dish has since achieved near-cult status, especially in the provincial city of Alicante, where the rice is usually prepared in a paella pan instead of a fisherman’s kettle. It can be served in solitary splendor as a starter or as a side dish with fish cooked simply. A pungent alioli (garlic sauce) is the only accompaniment. The success of arroz abanda depends on starting with a flavor-packed fish stock. You’ll find a basic recipe here. Use small, whole fish; trimmings from larger fish; crustacean shells; clam or mussel juices. About Spanish rice. 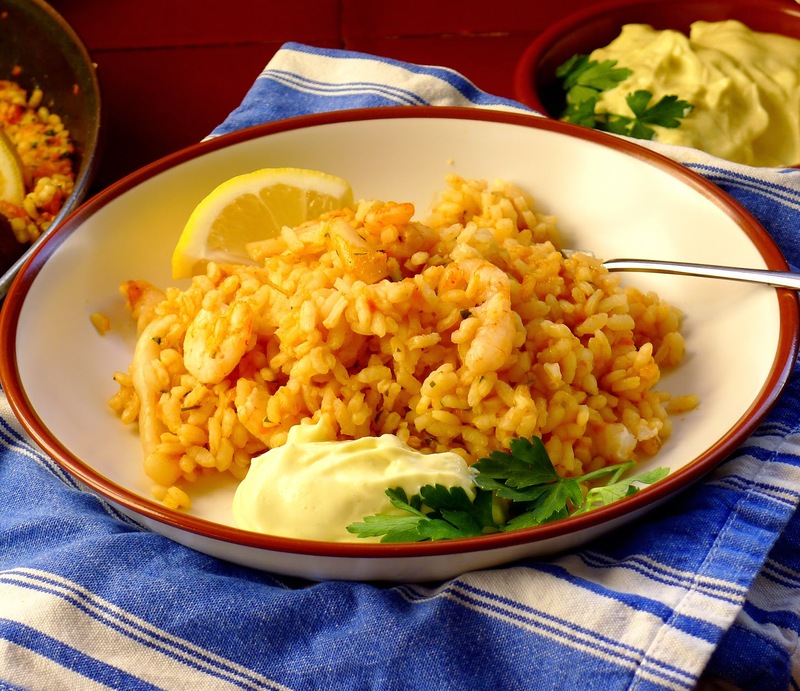 Spanish rice, the kind used for paella, is a round-grained, medium-short variety. Spanish rice has a white perla (pearl), where the starch is concentrated. 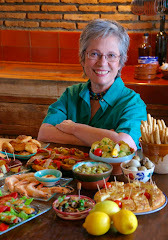 Its great virtue is as a flavor conductor, soaking up the savory juices with which the rice cooks—olive oil sofrito, chicken, rabbit or seafood, saffron. 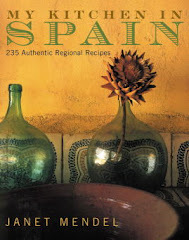 Spanish (often called “Valencian”) rice is similar to Italian varieties used for risotto. But the cooking method is totally different. Risotto is stirred to develop the creamy starch. 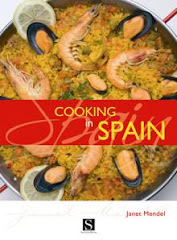 Paella rice, cooked “dry,” is never stirred, as stirring would break up the starch kernel. Bomba is one of several varieties of rice grown in Spain (it may be from the region called Calasparra). Bomba rice is especially esteemed for caldoso (soupy) and meloso, juicy, rice dishes because the kernel of starch doesn’t burst open and make the rice sticky. 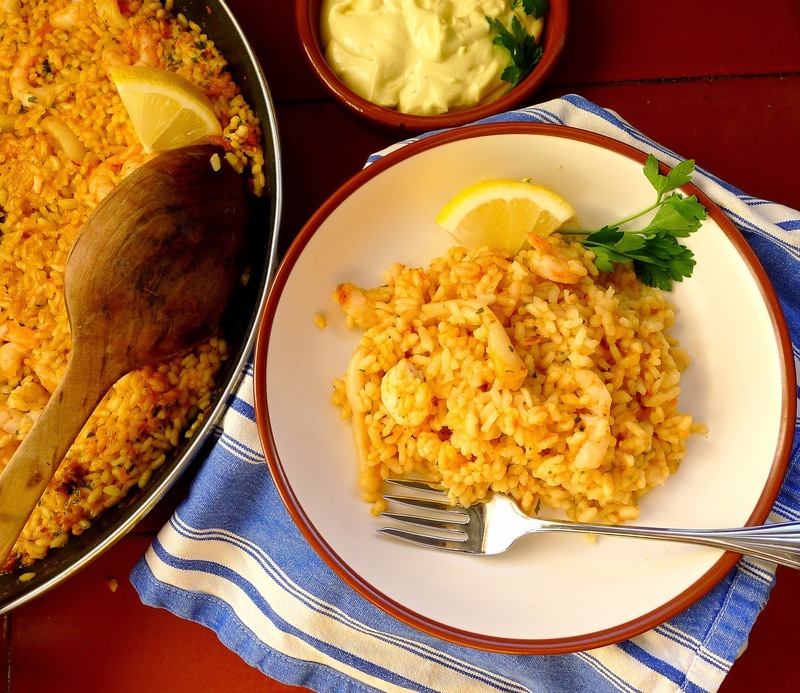 Bomba rice is absolutely not necessary for paella. But, for this recipe, if possible use the bomba variety of rice because it will absorb more of that flavorful fish stock (use triple the volume of liquid to rice). If using varieties other than bomba, decrease the quantity of stock, using approximately double the volume of liquid to rice. 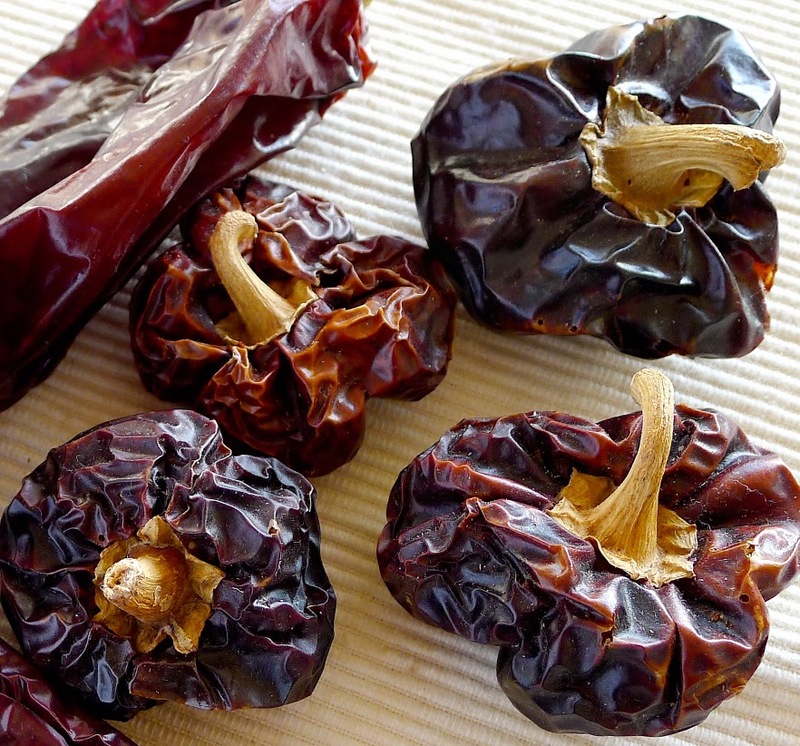 Ñoras are small dried peppers. The traditional recipe calls for the pulp of a ñora, a bittersweet dried red pepper, the same pepper used to make pimentón (paprika). If not available, substitute a spoonful of sweet pimentón, stirred with a little water to make a paste. Saffron is optional; it adds that vibrant golden color. Fry shrimp shells for flavor. 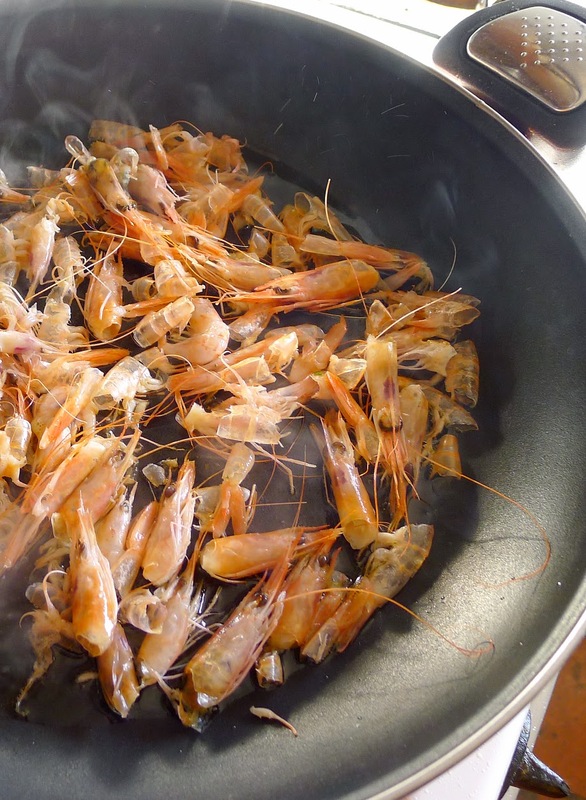 In addition to the fish stock, this recipe also calls for flavoring the cooking oil with shrimp shells and heads. If you haven’t got heads and shells, just omit this step. And, instead of a sofrito of chopped vegetables, it calls for a picada of tomatoes, ñora, garlic and parsley crushed in a mortar or blender. A few shrimp and pieces of squid for a tasty rice dish. Remove stem and seeds from the ñoras. Place one of them in a small bowl and add boiling water. Allow to soak 30 minutes. Peel the shrimp, reserving both the bodies and the heads and shells. Ingredients for a picada to flavor the rice. Make the picada. Open the soaked ñora and, with the side of a spoon, scoop the pulp from the skin. Discard the skin and add the pulp to a mortar or blender. (Add the soaking liquid to the stock pot.) 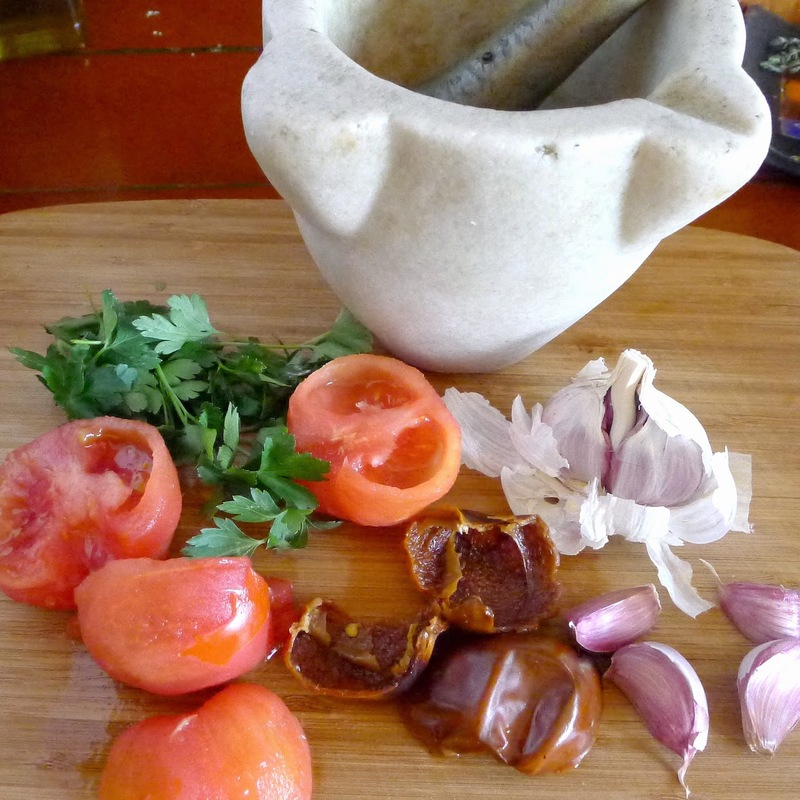 Add the tomatoes, garlic, parsley and ½ teaspoon salt to the pulp of the ñora. Crush or blend to make a smooth paste. 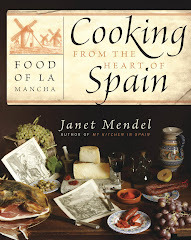 Heat 3 tablespoons of the oil in a paella pan, cazuela or skillet. Add the reserved shrimp heads and shells. Sautée until shells turn pink. Skim out the heads and shells and discard them, reserving the oil. Add remaining 1 tablespoon oil to the pan. Add the remaining ñora and fry it on all sides. Remove the ñora and reserve. Add the tomato-garlic paste to the pan and sautée, stirring. Add the squid rings and the saffron threads. Stir in the rice and let it sautée a few minutes. Add the hot stock. Cook the rice on a high heat for 8 minutes. Taste and add additional salt if needed. Stir in the reserved shrimp. Return the fried ñora to the pan, placing it in the center of the rice. Lower the heat and cook until rice is cooked, 15-18 minutes longer. Let the rice set 5 minutes before serving. Serve accompanied by alioli. Serve rice with alioli--garlic mayonnaise. This is not a true alioli, which is an emulsion of crushed garlic and olive oil. But this simplified version is quick and delicious. Place the mayonnaise, garlic, oil and lemon juice in a blender. Blend until smooth. Taste and add salt if necessary. Keeps, refrigerated, up to 1 week. Thanks. This was great. I live on the coast of Maine so I subbed lobster stock for the fish stock. This was pretty simple to prepare and was a big hit. Rob: Lobster stock sounds great! Did you add lobster pieces to the rice too? What a great dish! Thank you for sharing- it was very interesting to read about the different varieties of rice! Kelsey: You're welcome. Hope the rice didn't interfere with your low-carb week! 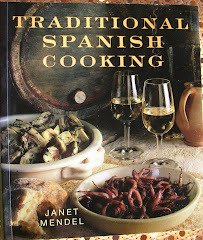 Hi Janet - the stock was from the last time I cooked lobster, so had no fresh on hand. As you did, I used shrimp and also a few scallops. Looking forward to making this again with Maine shrimp. The season has been cancelled the last 2 years due to overfishing, so hoping it makes a comeback in 2016. Rob: Scallops instead of squid sounds excellent.